Municipal Tree Commissions & Tree Ordinance: Do They Support Community Development? Offers 1.25 AICP CM credits. This webinar will briefly discuss police power, enabling legislation, and public participation in decision making. It will introduce common sections of street and park tree ordinances including purpose, creation of tree commission, hazardous/nuisance trees on public and private property, permits, violations and enforcement, arboricultural standards, and tree planting lists. A contrast between municipal street tree ordinance and other types of environmental ordinances will also be provided. Presented by Penn State Extension Service. Speaker: William Elmendorf; Moderator: Peter Wulfhorst. 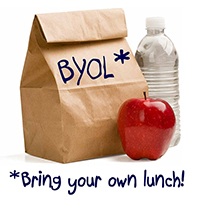 Our FREE Lunch & Learn Events are held in our 2nd-floor training room at 112 Market Street, Harrisburg, PA 17101.